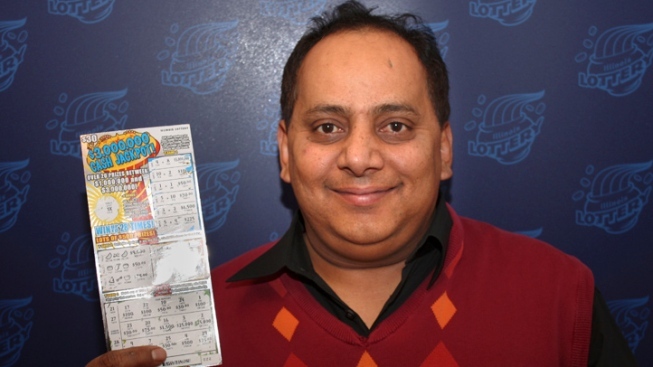 Chicago’s million dollar murder mystery shifted to a Daley Center courtroom Friday as a Cook County judge ordered lotto winner Urooj Khan’s body exhumed in hopes of clarifying exactly what caused his death. Already, Medical Examiner Stephen Cina has certified Khan’s death as a homicide, saying the lotto winner somehow ingested a fatal dose of cyanide. But as they went before Judge Susan Coleman Friday, prosecutors said in a filing it was necessary to exhume Khan’s body, among other reasons, "to rule out any other natural causes" of the Chicago man’s death. "As Mr. Khan was buried without being embalmed," the motion stated, "it is important that Mr. Khan’s body be exhumed as expeditiously as possible." In a hearing that lasted fewer than five minutes, Judge Coleman granted the exhumation request. "We have to have justice served," the victim’s sister, Meraj Khan, said outside the courtroom. "If that’s what it takes to have justice served and to have peace, then that’s what needs to be done." Khan’s widow, Shabana Ansari, did not attend the hearing. But as siblings and others gathered outside the courtroom, they made clear that they were suspicious of his death which occurred mere weeks after his million dollar lottery windfall. "We know him. He was a perfectly healthy person,” said Khan’s brother, ImTiaz Khan. "It is impossible that he would die like this." As he spoke, ImTiaz waved a notebook which he suggested contained information crucial to the case. "I have 45 pages written down," he said. "A whole life history. I cannot reveal anything until I know when to do this." Khan’s sister recalled the morning he died, and a frantic phone call at 4 a.m.
"Just screaming on the phone," she said. "I couldn’t understand what was going on. I couldn’t understand, and the call was from his number." Family members said they were forced to accept that Khan had died an untimely death and said they were blindsided by the news that his passing had been ruled a homicide. Brother-in-law Mohammed Zaman said he first became aware when Khan’s wife cut off contact.